All-Pro Home Inspections is locally owned and operated in Hendersonville, TN and proudly serves all of Nashville and surrounding areas. 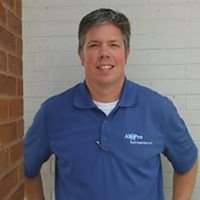 All-Pro has been perfecting the art of home inspection since 2008 and have performed over 6,000 home inspections to date. We take pride in providing our clients with an educational inspection experience and superior reports. Through education and superior customer service, All-Pro Home can help take some of the stress out of the real-estate transaction. Our Pre-Sale Inspection Program is helps Sellers, Buyers, and Real Estate Agents in many ways.